“I have been in India for over two years and a half after my return from South Africa. Over one quarter of that time I have passed on Indian trains travelling 3rd class by choice,” wrote Gandhi in his long letter to the editor of The Leader of Allahabad written from Ranchi on Sept 25, 1917. He travelled across the length and breadth of India - from Lahore to Madras and from Karachi to Calcutta. What was his 3rd class travel experience like? 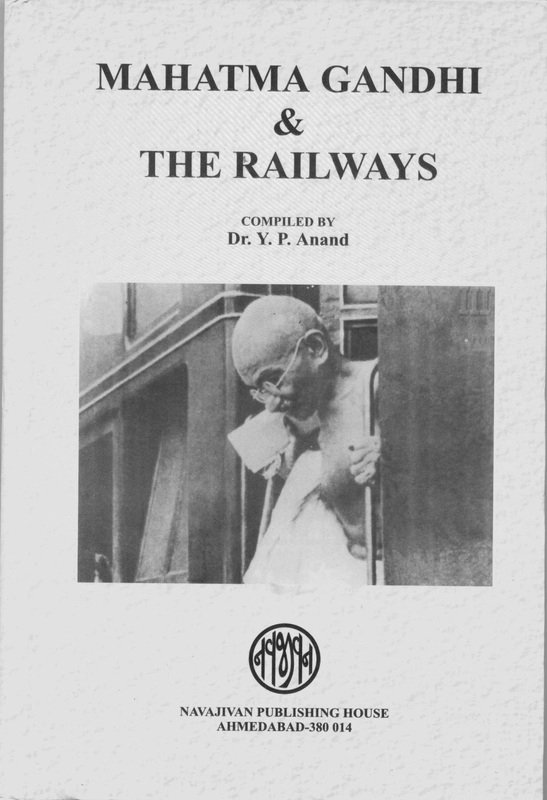 Following excerpts from the book Mahatma Gandhi and the railways by Dr. Y. P. Anand gives a clue. Note that none of his peers, Jinnah, Motilal Nehru or even Gokhale dared to travel 3rd class that time. Indescribable filth: We do not know the elementary laws of cleanliness. We spit anywhere on the carriage floor, irrespective of the thought that it is often used as it; the result is indescribable filth in the compartment. Getting roasted: Sometimes the compartments had no lights. From Saharanpur we were huddled into carriages for goods or cattle. These had no roofs, and what with the blazing midday sun overhead and the scorching iron floor beneath, we were all but roasted. Ticket booking: (At Burdwan) As soon as the ticket window opened, I went to purchase the tickets. But it was no easy thing to get them. Might was right, and passengers who were forward and indifferent to others, coming one after another, continued to push me out. I was therefore about the last of the first crowd to get a ticket. Getting shoved in from a window: My bitterest experience was from Lahore to Delhi. It was impossible to find a place in the train. It was full, and those who could get in did so by sheer force, often sneaking through windows if the doors were locked… I had almost given up when a porter discovering my plight said, “Give me twelve annas and I’ll get you a seat.” “Yes,” said I. The young man went from carriage to carriage entreating passengers but no one heeded him. As the train was about to start, some passengers said, “There is no room here, but you can shove him in if you like. He will have to stand…” I readily agreed and he shoved me in bodily through the window. Thus I got in and the porter earned his twelve annas. Amazing, how can you understand plight of people without experiencing it? Great reason of being grounded whatever you are doing. There is another great lesson here. Many grass root leaders tend to believe thing can't change. They are steeped into old way of doing things. Gandhiji, while experiencing common man plight, believed changed can be made and it has to be internal as much as external. Great article thanks Dabby. It begins with 'Empathy' and for that a person needs humility and courage to show Empathy to experience any situation. Rain Man is a good example to show the change from 'apathy' to 'empathy'. There were sound reasons from our age old culture (which is of course questionable today) of Gurukula form of education. Respect to elders and to the context promotes empathy. I am looking for a great tour article for just interest and for some knowledge about here enjoyment and much more related to travel. Because I want for visit washington dc bus tour. I read your article it’s informative and have some nice valuable things for me to do on my tour. Your blog article is creating a benefit for your site users. Good work and thanks for your nice sharing.